It took Sada Baby a while to come up with his official list of the best five rappers from Detroit but one thing was certain from the beginning: Eminem was not making the cut. 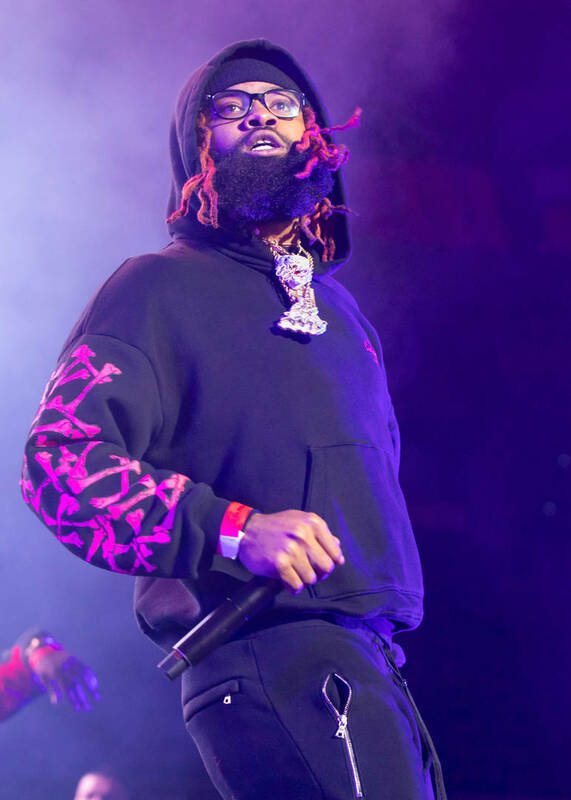 Although the Motor City doesn't have a deep volume of rappers that have crossed over into mainstream fame, the talent pool is vast and includes some of the strongest names in the business. Most people's first thought when it comes to Detroit rap is Eminem, who has put the city on his back and elevated it by displaying it in his sound. According to Sada Baby though, nobody is actually bumping the legend's music in his city though and he doesn't even make his Top 5 Dead or Alive. During a new interview with Say Cheese TV, Sada Baby, who is one of the finest voices coming out of Detroit right now, laid out his Mount Rushmore of Motor City rap and from the start, he wanted to be clear that Eminem was not making it onto his list. When asked if Slim Shady is one of the best rappers from Detroit, Sada Baby said: "No. Out of Detroit? Hell nah. You talking about my Detroit?" He went on to critique the way that Em portrays the city in his music, noting that it's not entirely relatable to him or his homies. "I ain’t know we had trailer parks until I saw 8 Mile. And I still don’t know nobody that know that n***a," said Sada about Eminem. "So it ain’t about being in the trenches, I’m just talking about as far as music and rappers and my Top 5 and my Mount Rushmore of Detroit rappers, Em is like an honorable mention. Just off the strength of 8 Mile." He goes on to list a few artists from the city that he really messes with, listing Blade Icewood, Big Sean, DeJ Loaf, Tee Grizzley, himself and others that have shaken up the game. What do you make of Sada Baby's comments? Read our recent interview with him here.